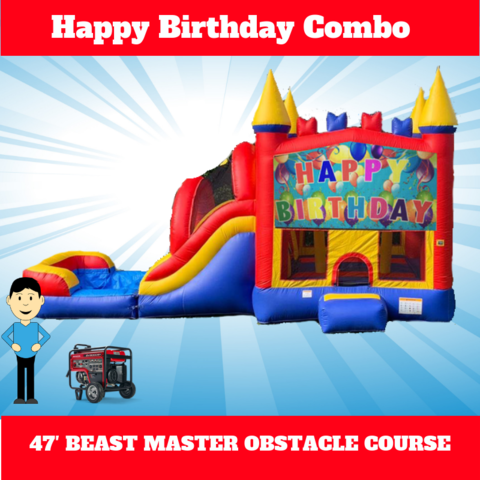 Combo Bounce House, Generator and *Attendant for 4 Hours When Parks Requires. Our most popular unit is a 13×30 wet/dry combo. 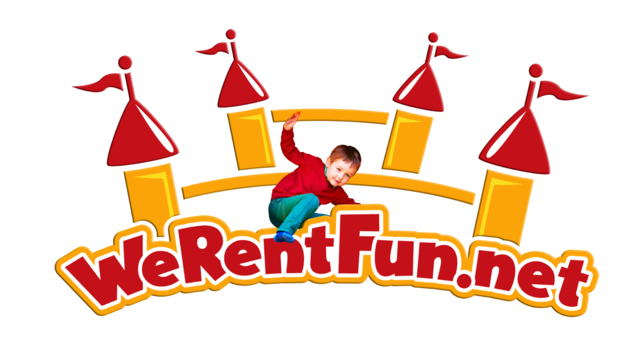 It provides everything you want: jumping, sliding, climbing, basketball hoop. The bigger slide attached to the bounce house can be used both wet and dry. The slide itself has an inflatable pool at the end to provide kids with extra padding even used dry.